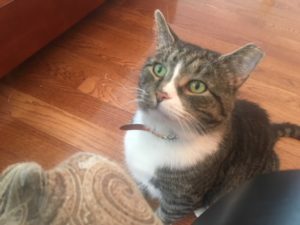 If you’re looking for a cat who is both independent and loves attention, Mr. Tabby is perfect for you. His name used to be Mr. Fat Tabby, but as he’s become more trim, he’s adopted his new name, Mr. Fab Tabby, instead. Mr. Tabby enjoys bird watching, perching on his cat tree, being brushed, getting belly rubs and head scratches, and watching Friends (he’s made it clear Chandler is his favorite). 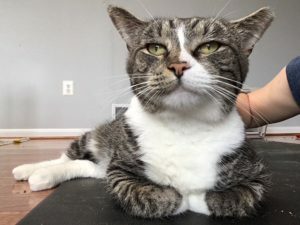 He was previously an outdoor cat but was taken in by good Samaritans after being injured by other cats in the neighborhood several times, after which he tested positive for FIV (read five reasons to adopt an FIV positive cat here). 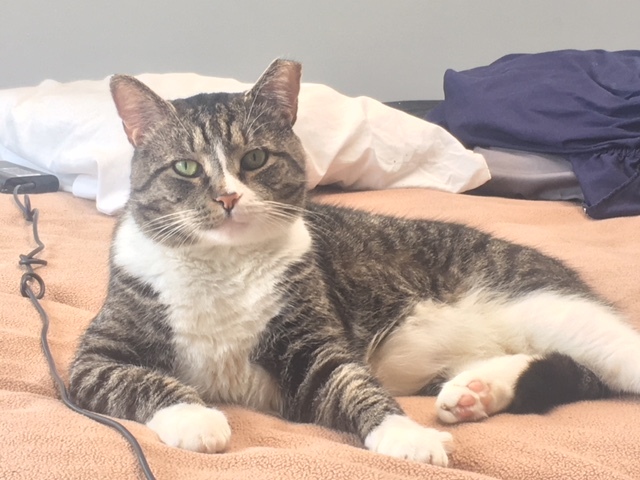 He is a little shy in new environments at first, but after two weeks in his foster home he turned into Mr. Social, and enjoys greeting his foster mom when she comes home with a little chirp. 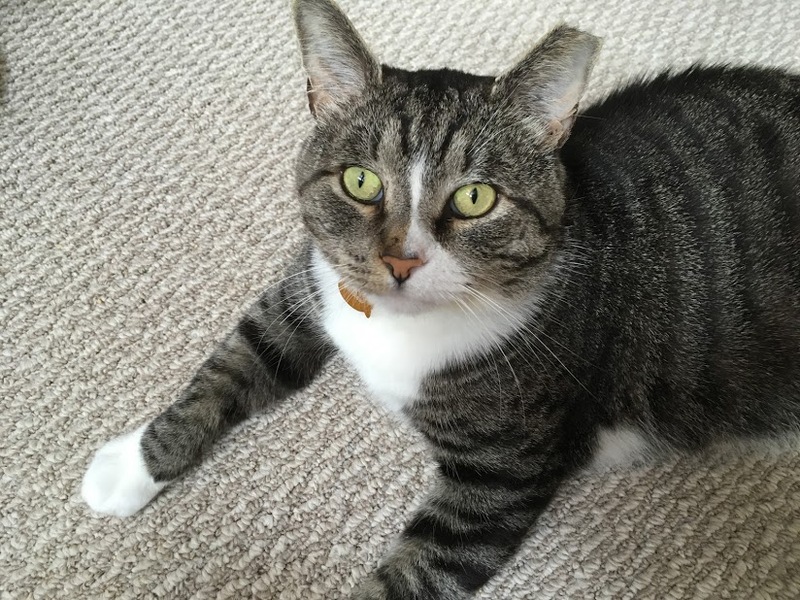 Mr. Tabby would love a home he can call his own, and is hoping it can be with you! 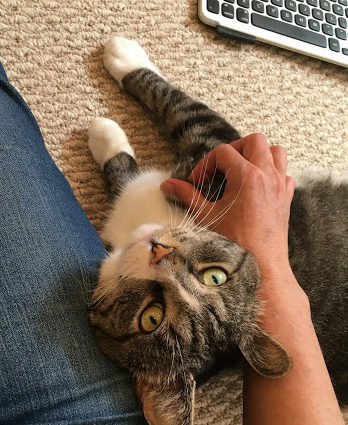 Because Mr. Tabby is nervous in new environments, it is best to meet him in his foster home. Mr. Tabby is estimated to be around 3 -4 years old and weighs around 16 pounds. 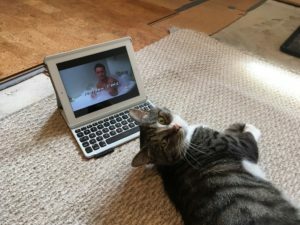 Can’t adopt Mr. Fab Tabby? Share him on Facebook and twitter to help him find a home!